James Turrell is an American visual artist who makes enclosures designed to control and reimagine the viewers experience of light. 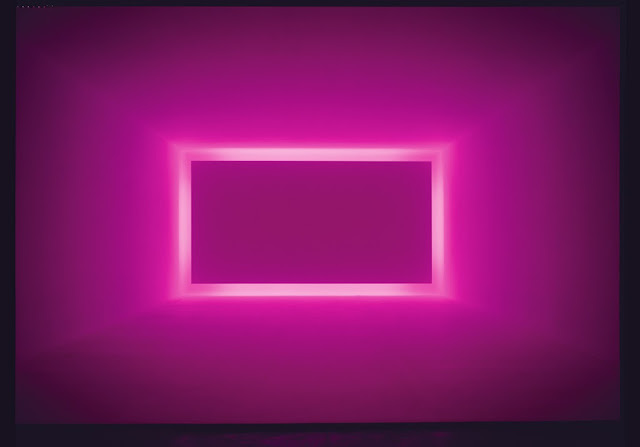 Turrell started working with light in 1966 in his Santa Monica studio around the same time that Los Angeles based artists Robert Irwin and Doug Wheeler, the self titled Light and Space group, were also rising in the art world. His work focuses on how we see and experience light and color and he has been the recipient of many awards and exhibitions such as the MacArthur Genius Fellowship, inclusion in the profound PBS documentary Art:21, has a current exhibition at the Guggenheim Museum in New York as well as being the subject of a recent retrospective at LACMA. Much of Turrells work consists of 'empty' spaces saturated with colored light from concealed sources. He works not to illuminate the lamp or bulb used to create the effects but instead focuses on the texture and hue of the light itself. 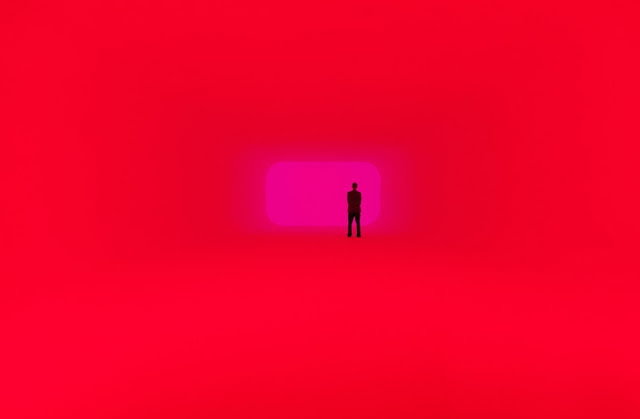 This pink room, for example, surrounds the viewer with a haze of pink so dense as to even eliminate the presence of clear shadows. No corner or crevice is free from the ever present light. Here light becomes boundless, less produced by any one source and instead emanating from every surface. Another room makes the frame element and its contents change color over time. The viewer enters a well of light, approaching the far wall as a thing of both mystery and omnipresence. 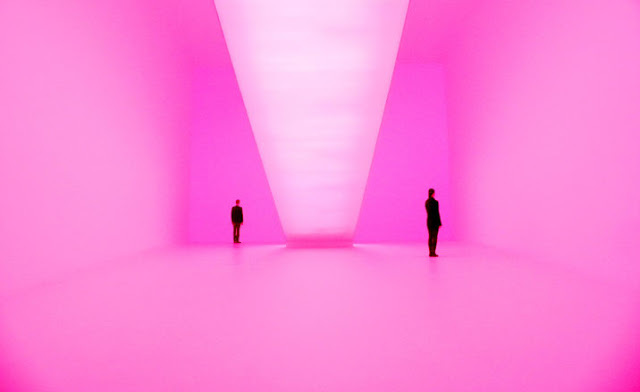 It conjures sci-fi tropes of fantastically intelligent alien life forms using technology beyond our ability to grasp as well as religious contexts where light becomes form and material suggesting the light at the end of the tunnel. Some of Turrells most striking works are not strictly controlled indoor spaces at all but instead shine new light on something we experience everyday with little notice: the sky. This piece, titled "Twilight Epiphany," was built at Rice University in Houston. 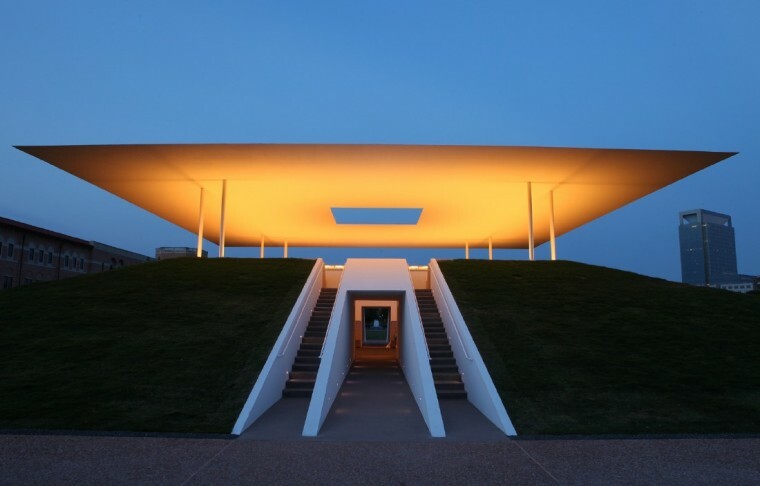 The 118-foot-square skyscape, which at once conceals and reveals the sky above, is meant to reflect in architecture the dual nature of light itself. 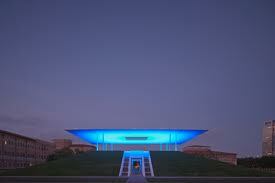 “Light not only reveals, it also obscures," the artist was quoted in an article in Architectural Record. Sunlight, when cast through the atmosphere obscures out view of the stars while constructing the curved blue architecture we call the sky. 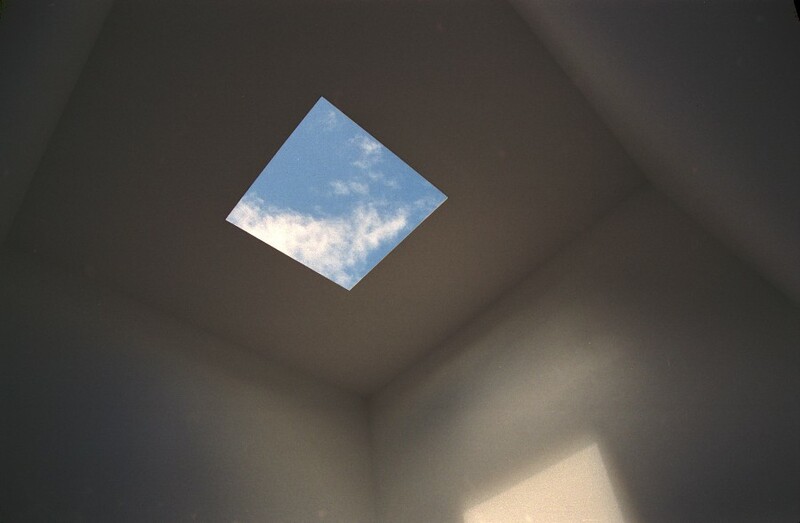 This drawing down of the sky, making visually tangible the presence of light from above has been used in more that just Turrell's artworks. 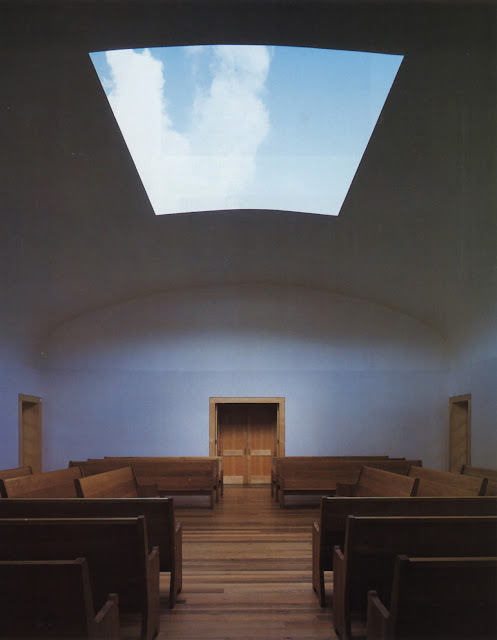 The artist also designed the Live Oak Meeting House for the Society of Friends, a Quaker organization, creating a space to for contemplation. The space greets the light as it is, not produced by humans, not photographed from a setting sun, just cast down from the ever present sky. This architectural intervention, limiting your view of the sky to a small square patch, brings you down to the present moment in a hurry. It is that limitation that lets you see, lets you concentrate, on the vast blue bubble we find ourselves in. Whether it's through art or spiritual contexts Turrells work asks us to settle in the present and experience light, that fundamental element of our universe, separate from its utilitarian existence. His works ask us just to see, allowing vision itself to become paramount while content recedes, and need nothing more than simple and profound light. A dose of color from PBS!